Once upon a time a law for the family. However, you should not do any mistakes: I am talking about the Aryan family. In fact, let’s not mix. In the literal sense, you know? Everything to “us” and nothing to “them”. Patriotic brothers and sisters, the actual Italian government has approved yet another amendment to defend the Italian race. In fact, the old law allowed families with modest incomes and at least three minor children to receive discounts on goods and services of various kinds, such as medicines, food, bills and more. All families, without the necessary genetic distinction, creating a dangerous and contaminating mixture that, as knights of pure blood, we have decided to eradicate. By the way, someone voted for that, right? Therefore, thanks to our sterilizing modification, the facilitation will be guaranteed only to Aryan families, in other words, of proven Italian origin, guitars, spaghetti and mandolin, also mafia, all the repertoire, as long as it is certified stuff. At the same time, families... that is, exotic agglomerations that persist in wanting to look civil like us by contracting marriage and having sons, however legally regular, will never be able to enjoy our own privileges. 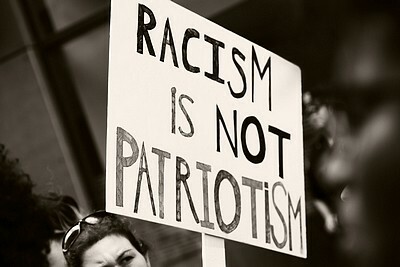 Because we are not racists. Maybe we are, maybe we just pretend it to gain consensus. Surely are the ones who voted for us.